It really should have worked. Queen's pop culture reign encompassed entire continents and several generations. Gen-Xers' formative years are unimaginable without the English quartet's catchy hooks and soulful melodies. 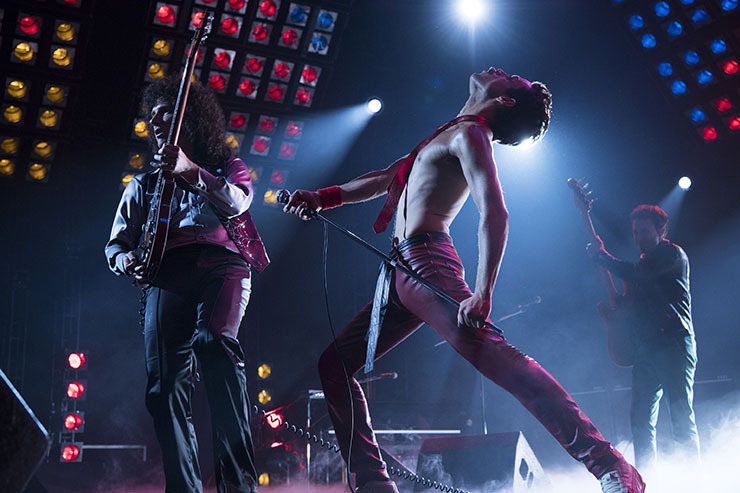 The band's meteoric rise to global stardom, propelled by frontman Freddie Mercury's flamboyant stage persona and penchant for risk-taking in the recording studio, feels like a natural fit for the biopic treatment. Surely a committed filmmaking team would rise to the occasion with a stirring motion picture that captures the rockers' cheeky wit and creativity. A pipe dream, as it turns out. 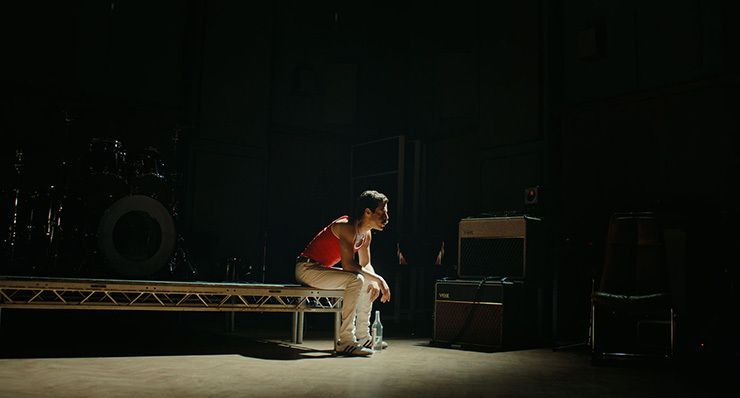 “Bohemian Rhapsody,” a doggedly tepid screen portrait of the obstacles Mercury and his bandmates faced on their way to the top, lies there like an obedient puppy, all too eager to roll over for (predominantly hetero) mainstream audiences' consumption. It begs for viewers' approval while shunning the very qualities that gave Queen its irresistible appeal. It's not clever or inventive. It refuses to break from the norm at every turn. And in a day and age when one would think a frank exploration of Mercury's bisexuality would be a no-brainer, it treats the subject with all the conviction of a business executive fulfilling contractual duties. 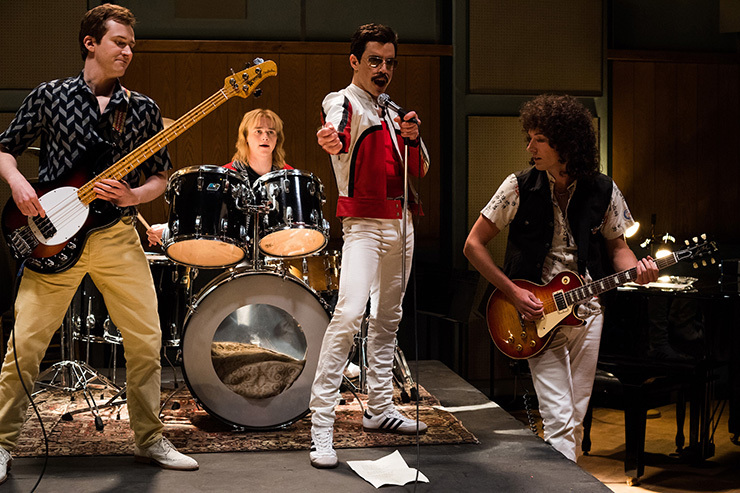 In short, this is a Queen biopic for people who like their music biz stories tame, easily digestible and, in the sexuality spectrum, at least 75 percent straight. To call it by-the-numbers would be a putdown to the field of mathematics. To be fair, the highly anticipated 20th Century Fox release survived a troubled shoot that saw its original director, “X-Men” auteur Bryan Singer, replaced by Dexter Fletcher (“Eddie the Eagle”) well into production. (Singer, who's dealing with his own legal troubles stemming from sexual misconduct allegations, remains the sole credited director, though Fletcher is billed as an executive producer.) The cynic in me believes the finished product wouldn't have been that much better if Singer had stayed in the director's chair all the way to the end, but even Singer's weaker efforts never felt this generic and nondescript. It's a testament to editor John Ottman and cinematographer Newton Thomas Sigel that it's difficult to pinpoint where Singer's input leaves off and Fletcher's begins, but my gut tells me this is mostly the latter's vision. In case you're wondering, that's not good news. “Bohemian Rhapsody” begins in perfunctory fashion, as Mercury (Rami Malek), who's essentially become a wealthy diva/cat lady circa July 1985, prepares to head off to Wembley Stadium for Queen's iconic set during Live Aid. The film then takes viewers back in time to chronicle how the man who was born Farrokh Bulsara to a Parsi family in Zanzibar hustled his way into the band that would become Queen after their lead vocalist suddenly quit. 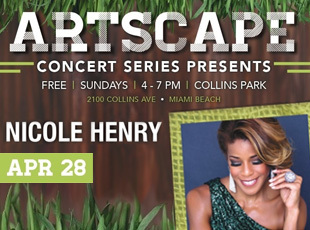 Singer (and Fletcher), working from a screenplay by Anthony McCarten (last year's Winston Churchill biopic “Darkest Hour,” which sadly explains a lot), attempt to strike a balance between a depiction of Mercury's growth as a musician and a peek into his personal life. But despite polished production values and attention to period detail, the movie never feels lived-in. A larger-than-life personality is trapped in a movie with no personality, and thus it's difficult to be fully transported. That kind of hindsight bias is everywhere in sight, especially in the disposable scenes showing the band butting heads with EMI mogul Ray Foster, played by an unrecognizable but distinctively hammy Mike Myers. 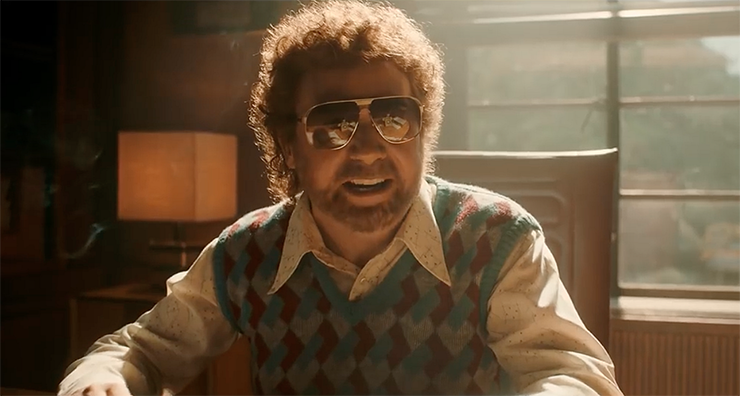 The “Saturday Night Live” alum, here looking like a cross between Jeff Lynne and Danny McBride, even gets to do a painfully obvious shout-out to the way the film's titular song was used in his 1992 comedy “Wayne's World.” It's one of several easy laughs the movie throws out to score points with its audience. 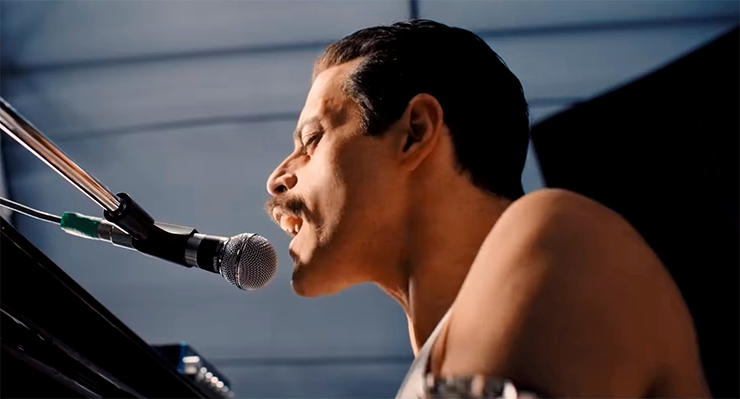 “Bohemian Rhapsody” is also astonishingly lopsided in its portrayal of Mercury's romantic life. McCarten takes pains to flesh out the artist's long-term relationship with Mary Austin (“Sing Street's” Lucy Boynton), the woman whom he called the love of his life (and reportedly inspired the Queen song “Love of My Life”). By contrast, the film deprives later scenes that show Mercury taking a tentative stab at romance with Jim Hutton (Irish actor Aaron McCusker) from taking up equal screen time. Mercury's powerful vocals may have rattled the industry, but when the time comes to show his feelings for another man, Singer/Fletcher reach for the mute button. A reasonably nuanced scene between Austin and Mercury suggests the film would navigate the complex waters of Mercury's sexuality after all. But what follows instead is a neutered and strangely judgmental depiction of the singer's promiscuous behavior as a descent into the gutter. Even more deplorable is the way it reduces Mercury's personal manager, Paul Prenter (“Downton Abbey's” Allen Leech), to a one-dimensional harpy, a conniving backstabber who took advantage of his position for personal gain. This Queen biopic's evil queen is paraded around for viewers to hiss at and pity. Not a good look. It feels as if those calling the shots deemed there's only so much queerness the multiplex masses can take. The film's PG-13 rating is likely a concession to reach the widest audience possible, but it's no excuse for the movie to feel like it's been scrubbed clean from anything that would remotely be considered edgy. That includes the timidness with which it deals with the AIDS diagnosis that would go on to claim Mercury's life at age 45. Again, what comes across is a sense of obligation rather than genuine commitment to the subject matter. The overarching feeling is one of crippling compromise, of subversive irreverence trampled by a puritanical reticence. 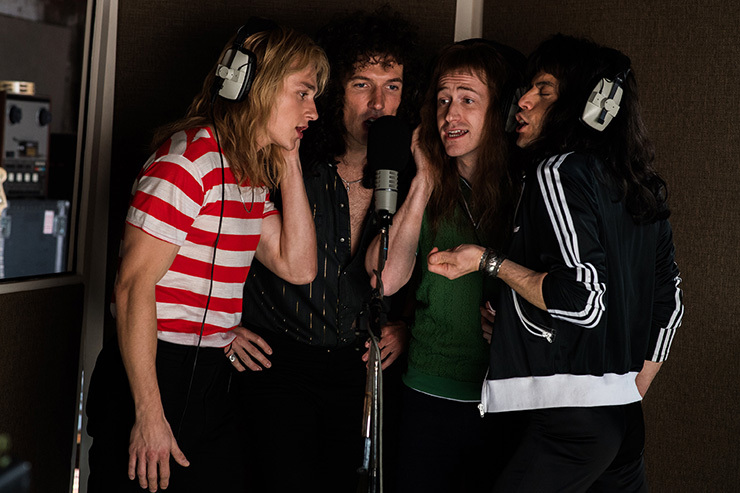 “Bohemian Rhapsody” hits its marks and covers the expected genre beats with slick efficiency. It gives Malek a chance to prove he's ready for even bigger and more high-profile projects. But even as it pays tribute to the footprint Mercury left in pop culture, this crushingly disappointing look at his life lacks the very thing the icon had in spades: balls. “Bohemian Rhapsody” is now showing in wide release across South Florida. 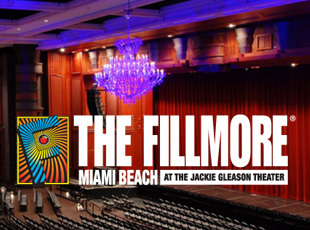 Its commercial release includes a one-week run in IMAX theaters.